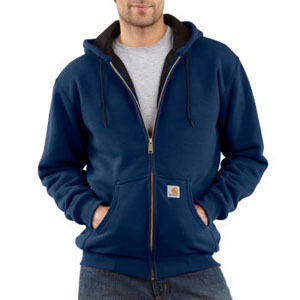 Our thermal-lined hooded zip-front sweatshirt really delivers when temperatures drop. lining for warmth. Up front, there’s a full-length brass zipper and two hand-warmer pockets.